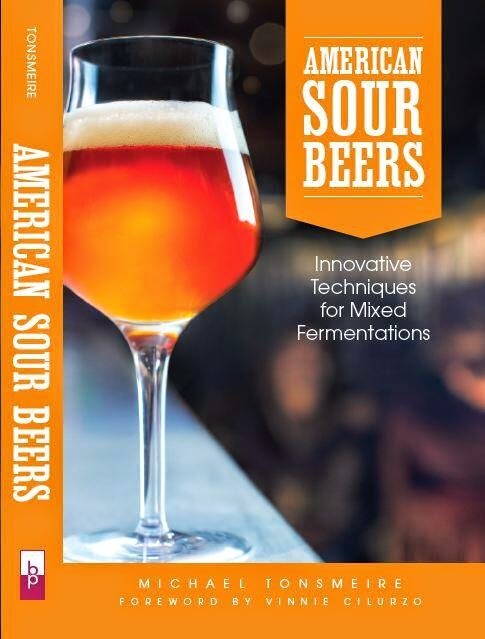 After last month's poll on which American brewer makes the best sour beers, it seemed only logical to follow-up with a poll about Belgian Lambic producers. Much like Russian River Brewing in the previous poll, Brasserie Cantillon beat all comers handily in this one. I think a big part of their dominance is their great beers (obviously), but their reputation for being both purists and innovators as well as their wide distribution area doesn't hurt. While I love both Cantillon's Gueuzes and fruit Lambics, they are only my second favorite producer. Overall I don't think Cantillon has quite the depth and balance of the Lambics from 3 (Drie) Fonteinen. Armand is probably the most consistent blenders, I'm hard pressed to remember an off bottle of Drie Fonteinen (on the other hand I've had a couple less than stellar Cantillons). It is hard to compare these two, Cantillon is a brewery that produces all of their own wort while Drie Fonteinen is a blender that (primarily) ferments wort that other breweries sell them. It is an advantage to outsource wort production to several great brewers because it allows you to get a range of characters that is difficult to obtain from only one brewery (especially when you rely on a single production method). I think what really sets these two apart from the rest of the brewers and blenders is their willingness to experiment and market. Some of the other straight Gueuzes are at least as good as Cantillon Classic Gueuze or Drie Fonteninen Oude Gueuze, but in some cases that is all that gets exported. I won't say that I have enjoyed every one of the experimental batches and special releases that I've been lucky enough to taste from Drie Fonteinen or Cantillon, but many of them have been great (like the ones at the Lambic Summit), and even those that haven't been perfect are enlightening. The rest of the producers make some great Lambics (amazingly all of them received at least one vote). Some of my favorites include Girardin Gueuze 1882 (Black Label), De Cam Oude Gueuze, Hanssens Oude Kriek, Boon Mariage Parfait (especially the 2004 bottles that you can still find randomly), and Oud Beersel Oude Gueuze. I even like Lindemanns Cuvee Rene and St. Louis Gueuze Fond Tradition if I can't get my hands on anything else (especially since they are less expensive). In a lot of ways it seems like people are all too happy to shell out $15 for the new sour from some random American brewery, that they forget just how good even the mediocre Lambic producers can be. If you haven't picked up a random bottle of Gueuze in the last few months then grab one up the next time you hit a well stocked beer store. I would fully agree with you last statement.. and as one of those American producers, producing barrel-aged beers with fascinating critters, nothing compares to the works of art the Belgians put out.. I would also have trouble calling any gueuze or lambic mediocre.. so much goes into it.. debatable maybe.. but for the true lambic producers there is nothing like it.. Well, OK so the Coolship beers from Allagash are pretty extraordinary and come the closest to anything this side of the pond..
By the way Mike, in your poll on the best Brettanomyces strain, the best strains aren't up there.. where are any of my 10 strains? Of which I would say CMY-01 is the best.. The Brett Drie is killer though! And Al B always has top notch yeasts, certainly he has one of the most unique I've ever used.. secondary thoughts arising.. why use one strain? multiple Bretts at once create more complexity.. rambling ends.. I was among those that voted for Cantillon, but after recently having Cantillon, Boon, Hansens, and Cuvee Rene gueuzes side by side for the first time, I've got to say that Hansens blew the others out of the water although Cantillon was still interesting and definitely second. I've had all of the top half of that list many times each, although usually separately. Trying gueuze from several different producers all alongside one another was truly eye-opening! I highly recommend it to anyone who hasn't taken the time to do this yet. Agreed completely, mediocre by Lambic standards is still much better than mediocre by American sour standards. Glad to hear the Allagash beers hold up, still haven't gotten a chance to try any of them. I tried to keep the list of Bretts to strains that are/were widely available. Are your strains going to be available anywhere besides the dregs of a bottle of Crooked Stave? Definitely side-by-side (or in a row) helps to highlight the differences between different examples of the same style. I'll have to do that again soon. You forgot to add Upland...I would be willing to put them up in side by side blind taste test with any of these..! I wasn't impressed by the blackberry (lots of diacetyl), but it may have just been an off bottle. That said, regardless of what a brewery calls their beer I think spontaneous fermentation is part of the style (which Upland isn't doing as far as I am aware). It is also hard for me to really judge the beer without tasting it without fruit. Enjoying my first bottle of Tilquin at the moment. Solid, lots of lemon rind, bit of funk, mild acidity, lots of promise.